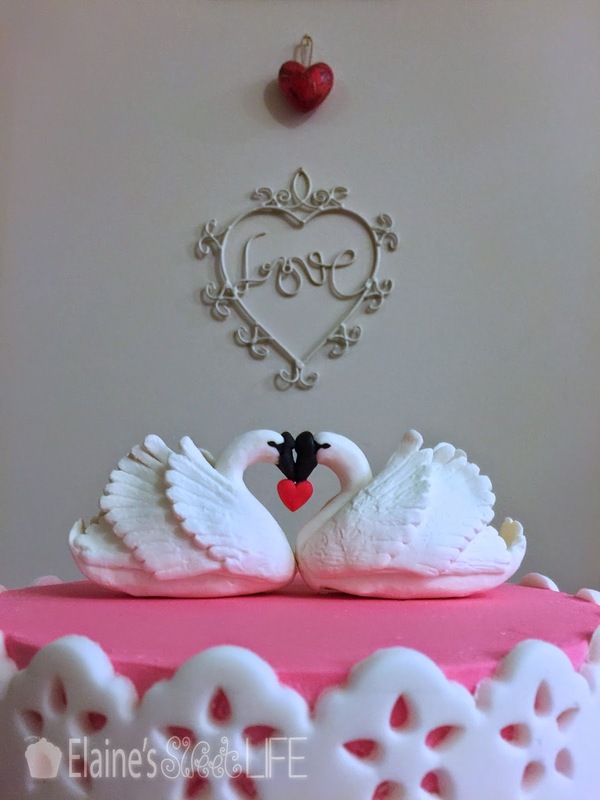 With Valentines Day next Saturday, I thought it would be fun to create a tutorial for a LOVE themed cake. 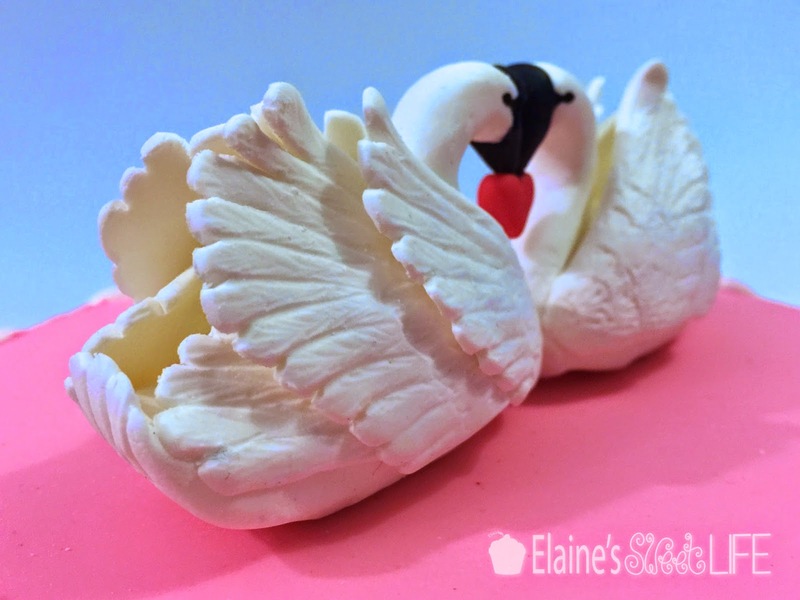 I have had a number of requests to do some tutorials on working with modelling chocolate, so I chose to create a Swan Topper made of white modelling chocolate for the cake. 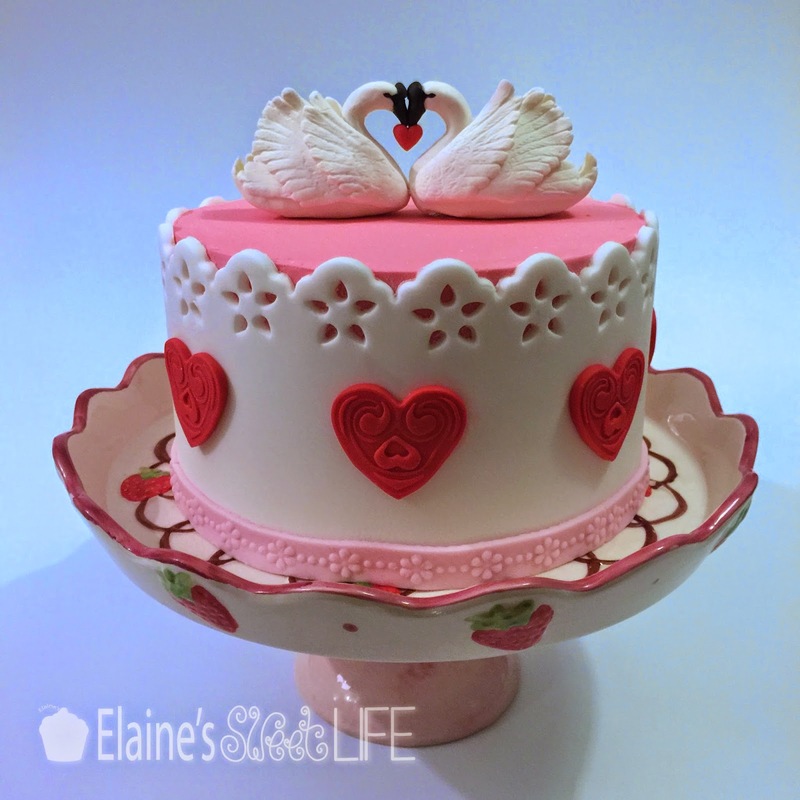 I thought long and hard about my design before I finally decided I'd try making PINK ganache, leaving it exposed on the top of the cake, then creating a white lacy fondant collar around the cake, covered in hearts. Here is the mat I designed for the tutorial. 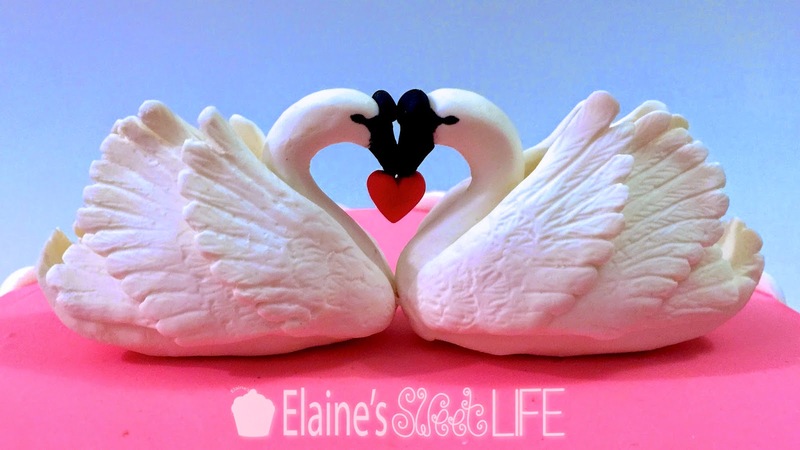 The size of the swans is suitable to top a 7" cake. I printed the image out on blue paper so that it would contrast with the white modelling chocolate, then laminated it so that I could work directly on it. 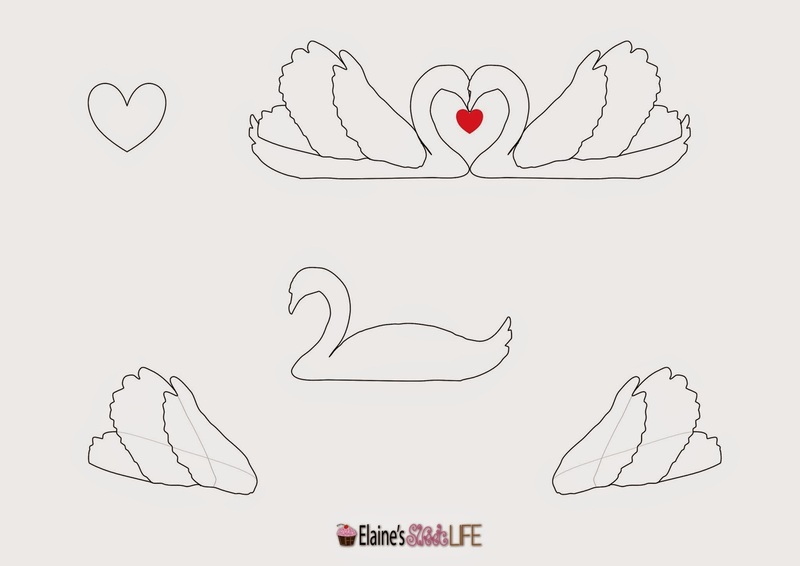 If you prefer, you can cut the pieces out and use them as templates to cut the various wing pieces. Click here or on the image above, to download a pdf of the Pattern Mat. I made the Modelling Chocolate as shown in my tutorial, but used white candy melts instead of white chocolate to get a more pure white product. The black and red modelling chocolate I had left over from previous cakes. Heat the cream in a pan until just before boiling. 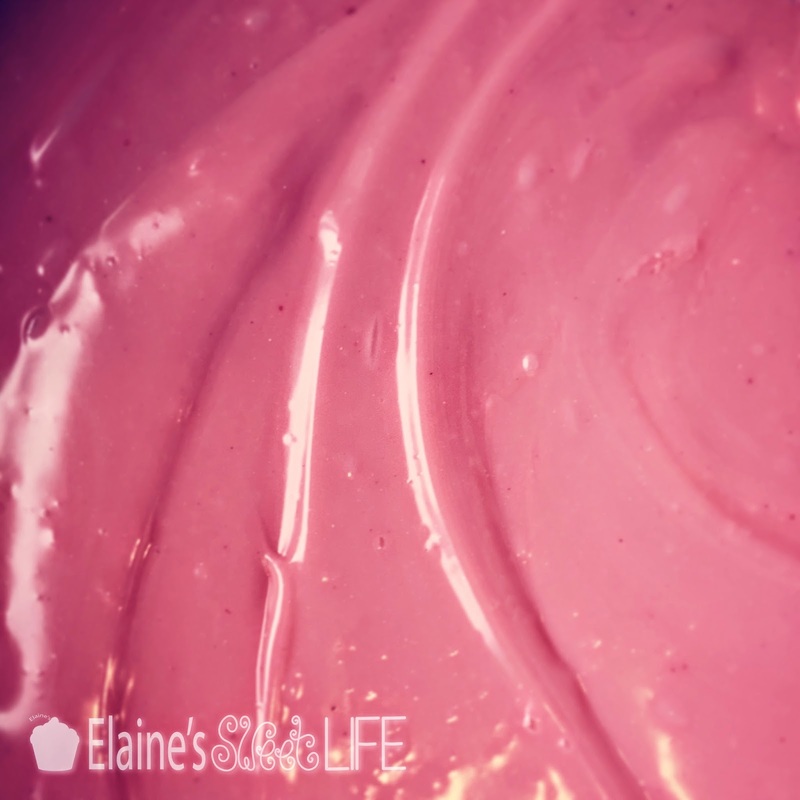 Add pink food colouring to the cream until it is about the colour you want your ganache to be. Pour it over the chocolate. Shake the bowl around a bit until the chocolate all settles beneath the surface of the hot cream. Leave it to sit for a few minutes. If you still have a few lumps of chocolate that won't melt in, pop the whole bowl into the microwave for a few seconds at a time, stirring in between, until all the lumps are gone. Now, if the colour is looking a bit orange, add some white food colouring and mix in well. This will bring the colour back to a pleasant pink. Leave the ganache at room temperature to cool for a few hours, stirring it occasionally until it becomes thick enough to hold its shape, but easily spreadable. 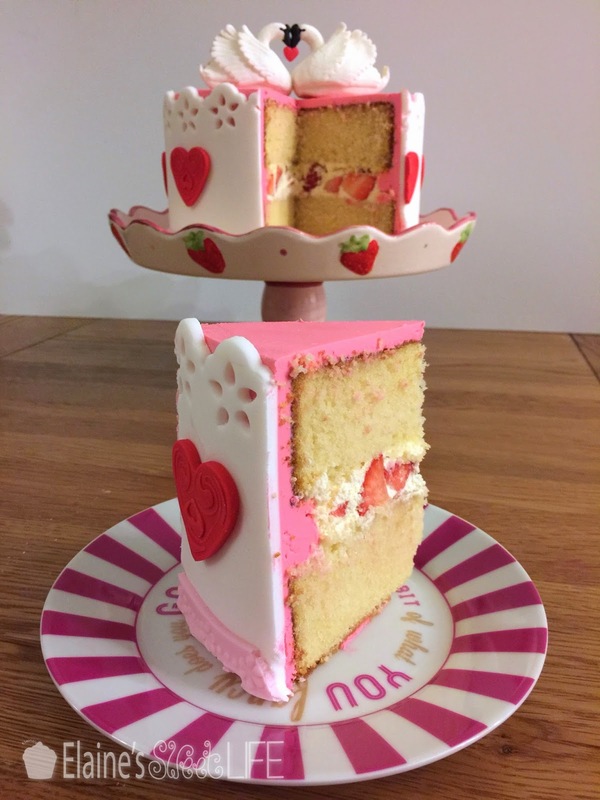 The recipe I used for the Vanilla Sponge can be found in this post. I used HALF the recipe and split it between two 7" pans. 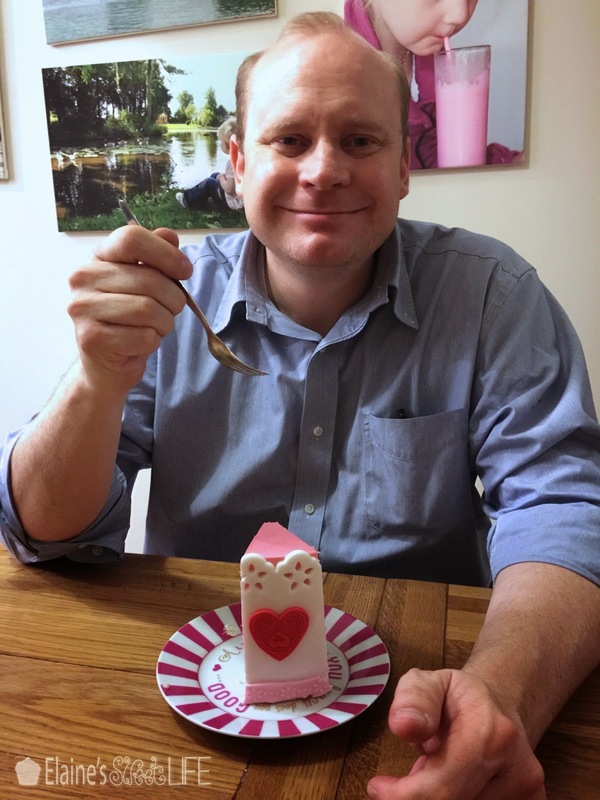 This is my Valentine enjoying his cake. I surprised him with it when he came home from work and he had a moment of panic, thinking he had forgotten about Valentines day! Too funny. Oh Wow, you make it look so easy! 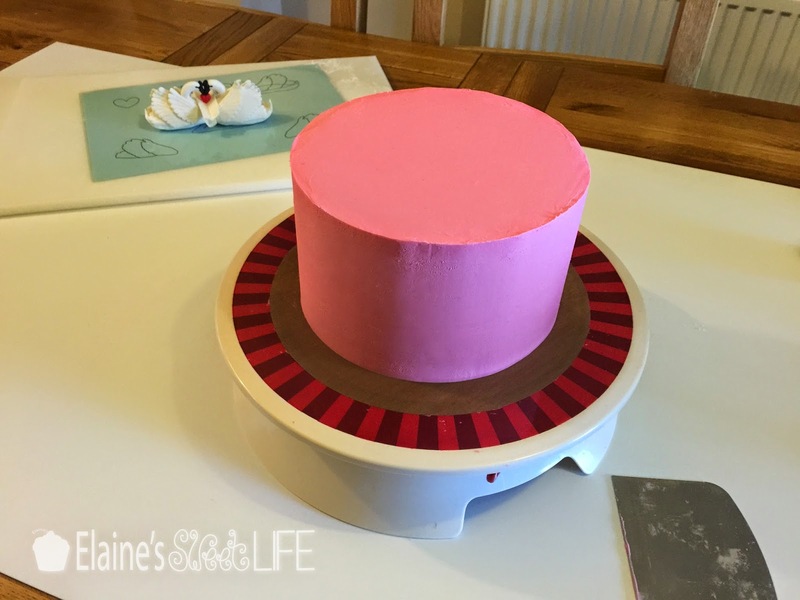 What is the difference between modelling chocolate and fondant? Modelling chocolate is actually made of chocolate, while fondant is sugar based. I prefer modelling chocolate for making figurines and sculpting, because it holds its shape almost instantly, allowing you to create a figurine really quickly (no waiting around for a piece to set before you can add to it). You can also join pieces seamlessly with modelling chocolate as well as change it after it has already set - all you have to do it warm it up again. Thanks Elaine to share your knowledge with us. Definitely the video tutorial makes it easier.